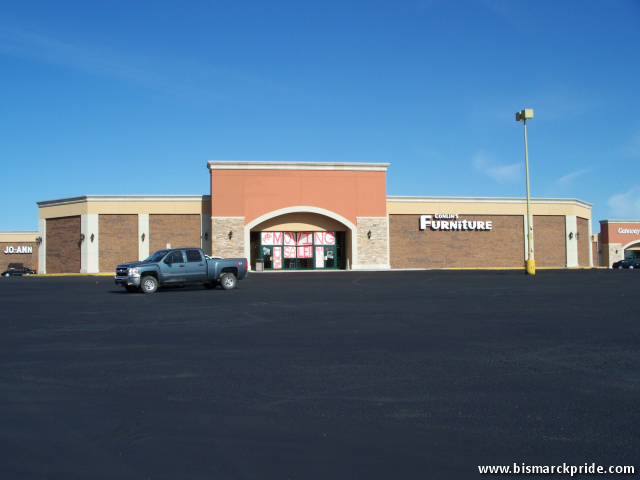 Conlin’s Furniture occupied this space in November 2004, filling a spot that had sat mostly empty since Herberger’s departure in 1994. The space originally housed local retailer A.W. Lucas & Company. Conlin’s relocated from Gateway Fashion Mall in December 2009. It was recently announced that Famous Labels will be occupying this space sometime in Spring 2010. Opened in September 1979 with original anchors Sears, White Mart, and A.W. Lucas, Gateway Mall was Bismarck’s third fully enclosed shopping center. Horizon Market, located at Washington & Durango in northwest Bismarck. Downtown Bismarck, North Dakota near 4th Street & Broadway Avenue. KFYR-TV studios in background. Located on Century Avenue near State Street.